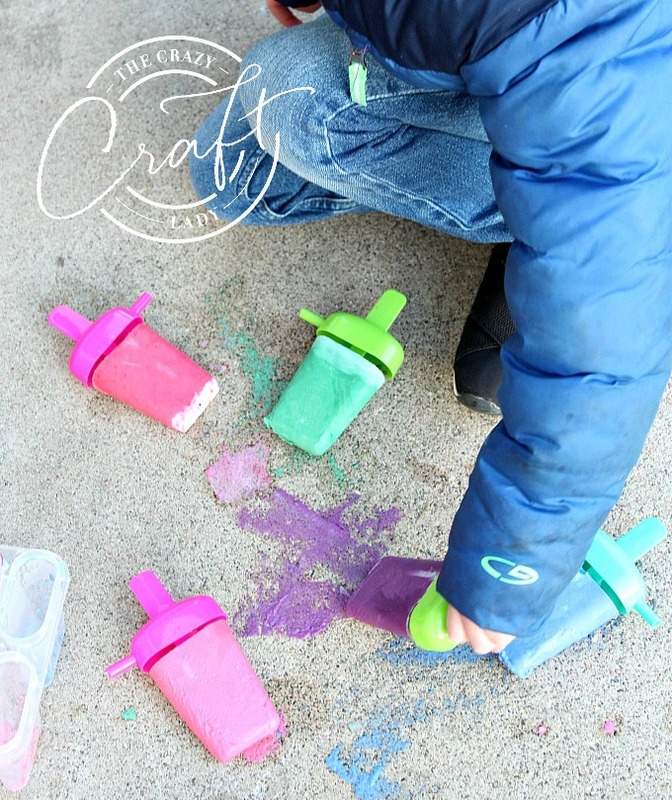 Follow this easy DIY tutorial to make frozen chalk popsicles, a fun sidewalk chalk activity for the kids on hot summer days. 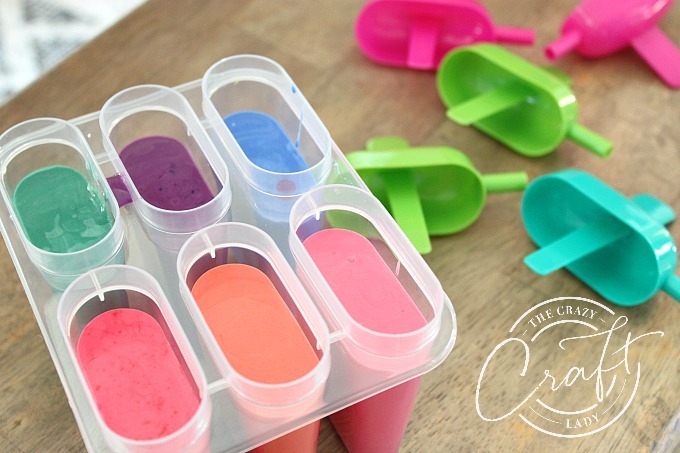 Make your own sidewalk chalk popsicles for a cool summer craft with the kids. 1. Combine ¼ cup corn starch, ¼ cup water, and 2 tablespoons of tempura paint. Tip on mixing custom colors: If you don’t have tons of tempura paint colors to choose from, you can mix two different paint colors. 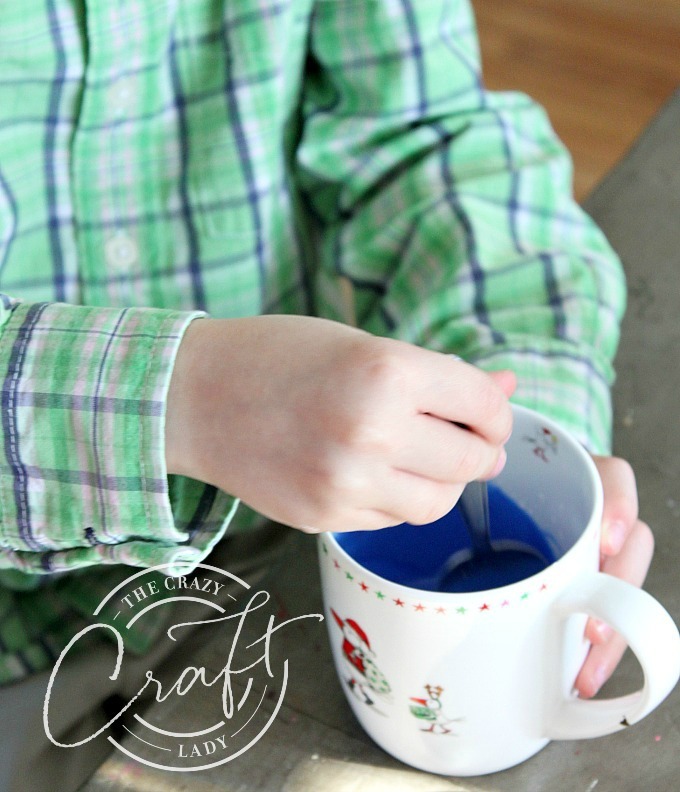 For example, use one tablespoon of blue paint and one tablespoon of yellow paint to make green. If you want to get even more creative, change up the ratios. For example, try 1 ½ tablespoons of blue paint and ½ tablespoon of yellow pain to make teal. As long as you use about 2 tablespoons of paint (give or take), you will be just fine. 2. Stir the mixture, making sure it is combined and free of lumps. 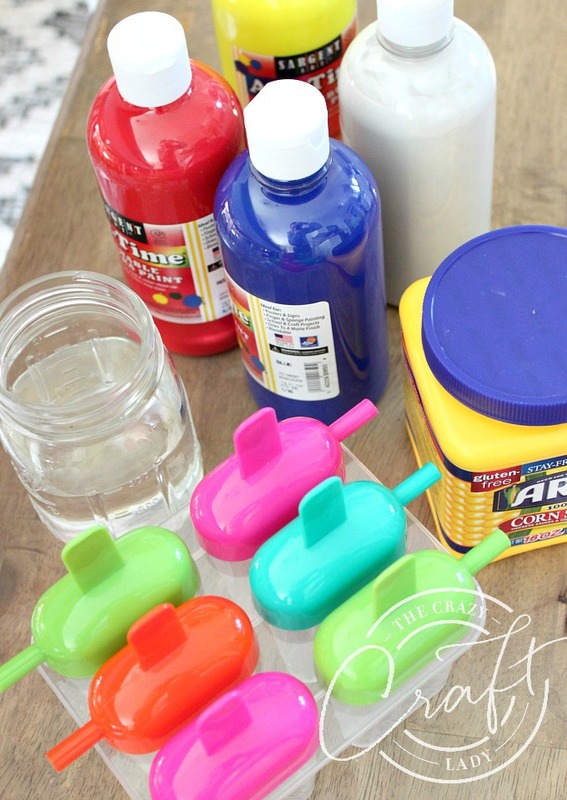 Then carefully pour the chalk paint mixture into popsicle molds. 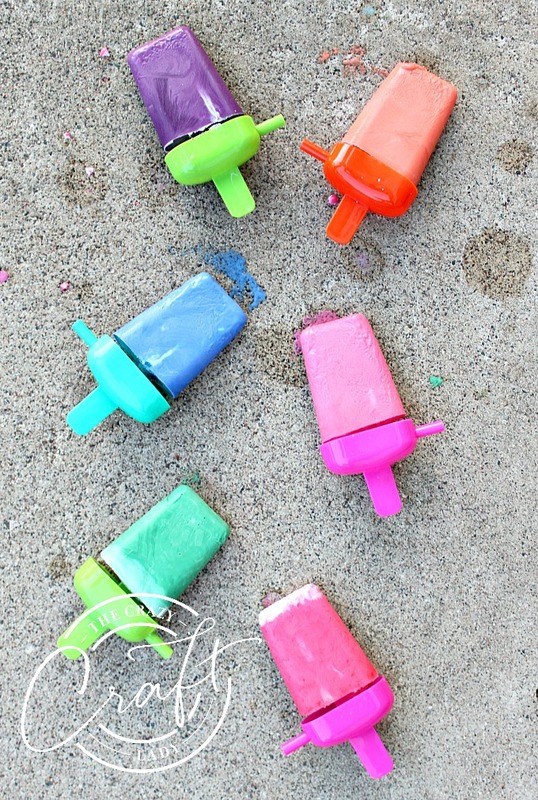 Add the popsicle handles. Freeze overnight. 3. 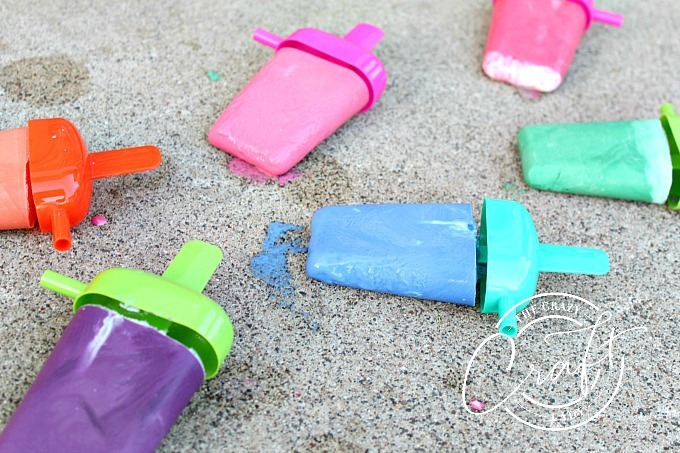 To release the popsicles, run the molds under warm water briefly to loosen the popsicle chalk pieces. 4. Find a hot slab of cement, and let your imaginations run wild. NOTE: We have had a very cold spring in Minnesota, so we still had jackets on. Even though temps were in the high 30s, the chalk still melted as we wrote on the sunny sidewalk.